My life experiences have indelibly shaped my views on the broad value of diversity. My formative years in The Gambia were followed by a move to London during adolescence and then college and medical training in a culture where I was in the minority. Then came many challenges of advancing through the academic ranks of cardiology, a male-dominated field with little racial or ethnic diversity. These experiences, along with my time as a professor and the Senior Associate Dean for Diversity and Leadership at Stanford, affirm my belief that diversity invites scientific innovation and is essential for creating a broad palette of solutions to complex health challenges. However, as a scientist, simply “believing” is not enough. We must approach workforce diversity with the same level of rigor that we employ in the conduct of biomedical research. I invite you to join me in this exciting journey to establish NIH as the nation’s leader in scientific workforce diversity; the place to which science leaders across all sectors of biomedical research come to be informed about data-driven scientific approaches to diversity. Then imagine the outcomes we can achieve by enhancing the diversity and inclusion nationally among the thousands of teams of researchers and tapping into the unique perspectives that each can bring to bear on creating solution to improving human health. My vision is to establish innovative, science-driven thinking to transform diversity from a problem into an opportunity, which will ensure that we recruit, retain and advance the most talented scientists from the uniquely diverse intellectual capital that is emblematic of our nation. 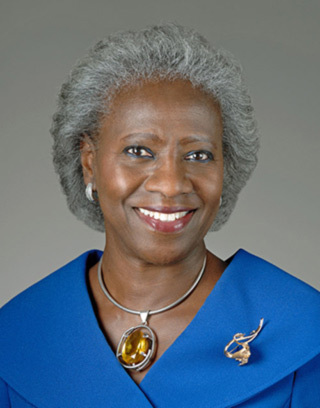 In August 2011, the Advisory Committee to the NIH Director (ACD) convened the Working Group on Diversity in the Biomedical Research Workforce (WGDBRW) to make recommendations on ways to enhance the diversity of the biomedical research workforce. Since June 2012, when their recommendations were shared, NIH has been focused on responding to their specific calls to action. The SWD Strategic Plan addresses many of the recommendations of the Working group. Page Last Updated on March 20, 2019.